Remove the instrument panel tie bar. Refer to Instrument Panel Tie Bar Replacement. 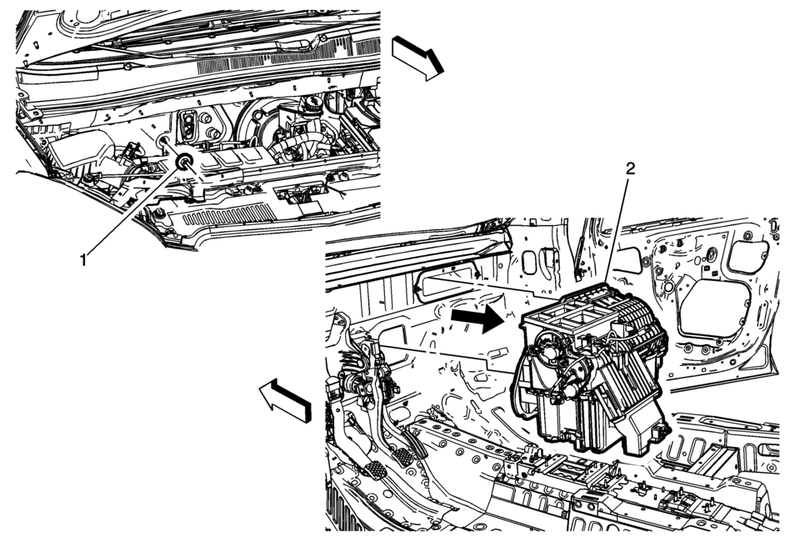 Disconnect the HVAC module electrical connectors. Remove the heater outlet hose if equipped. Refer to Heater Outlet Hose Replacement. Remove the heater inlet hose if equipped. Refer to Heater Inlet Hose Replacement.